Mickey Mouse celebrated his 75th anniversary in November 2003. Traditionally the birthday of a Disney-character is determined by its first appearance - for Mickey this was the cartoon Steamboat Willie that debuted in theaters November 18, 1928. Don Rosa shared some of his thoughts about determining Unca $crooge's birthday in Disney Comics Mailing List. When is the "birthday" or anniversary of a famous book or movie or play celebrated? When they decided to create the work? When the project was begun? When the project was completed? No, it's when it is released to the public... when it "officially" debuts to the world. Just as you say with Mickey's birthday being on Nov. 18. 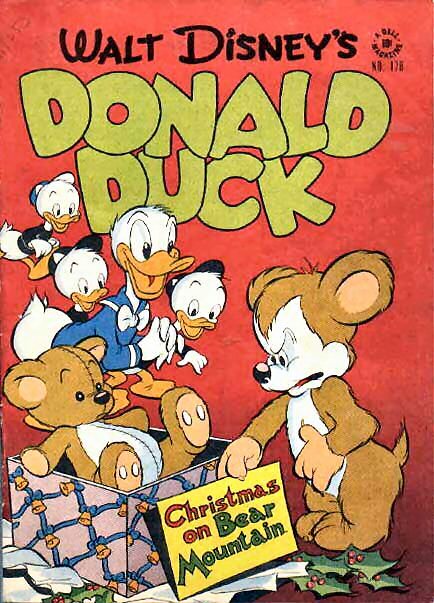 Don Rosa would determine Scrooge's birthday by the publication day of this magazine. When do we celebrate our own birthdays? When we "were released to the world"? Or nine months earlier on some romantic evening? That latter idea might be when our life actually started. But celebrating our birthday on that date (even if it could be nailed down)(excuse my nomenclature) would be silly. 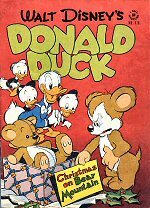 I've heard that some parties want to say that $crooge McDuck's anniversary is July 22, since Mr. Barks submitted Christmas on Bear Mountain to the publisher on July 22, 1947. But the story "was released to the world" in an issue dated DECEMBER 1947. Set aside for a moment the question of when that issue actually went on sale (sometime in October?) -- why did somebody decide that $crooge's birthday is in July, which is as silly as saying our birthdays are 9 months before we celebrate them? It's because comic book sales are much better in the summer. They could sell more "special anniversary issues" if they put them out during a summer month. But don't be fooled or lead astray by marketeers. $crooge McDuck's debut is in late 1947. I vote to stick to the publication date on the magazine, December, only because it's too difficult to determine what Western's official on-sale date was for FOUR COLOR #178. But one thing I know for certain is that his birthday is *not* July 22. But there must be a specific date? Well, some things are just not possible. You'll hafta pull one outta thin air. It's a Christmas story wherein we first see $crooge on December 23, so maybe you could decide his "birthday" Dec. 23? But are exact dates necessary? It's close enough to say a character's birthday (or a movie's anniversary, etc.) is during a certain month. It's the marketeers who are insisting on exact dates for their press releases. But you know, I guarantee you that DisneyWorld stores are willing to sell you a "Mickey Mouse 75th Birthday" coll-eech-tible gee-gaw on lots of other days of the year (or next year, for that matter) than only Nov. 18! Originally appeared in Disney Comics Mailing List, October 18. 2003.